A campaign to give inclusion in Germany a push. Aktion Mensch is Germany's largest private fundraising organization in the social field, divided in a social lottery and an educational department. The aim of their educational campaigns is to place the topic of inclusion in public in order to change the image of people with disabilities in our society. 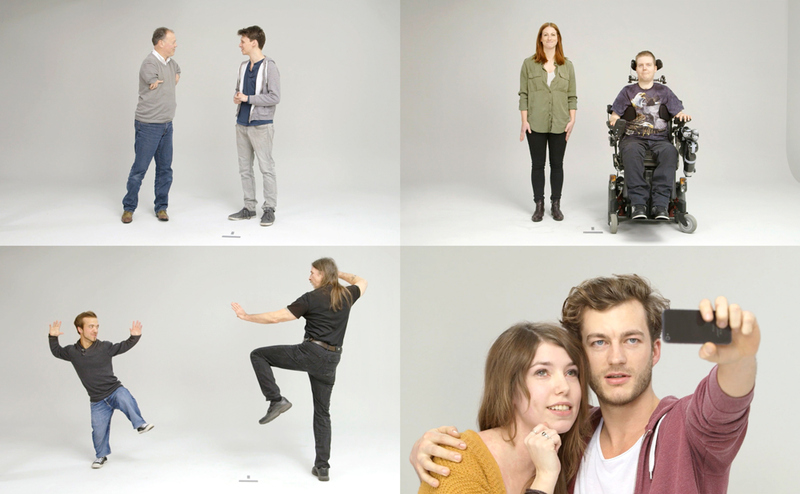 For the new campaign people with and without disabilities were invited to participate in a casting for two TV commercials for the Aktion Mensch social lottery – but none of the performers knew, that the casting was already the film shoot for the educational campaign. That situation lead to authentic and very surprising encounters between them. The result is a very touching film that shows that encounters of people with and without disabilities can enrich our lives – if we give it a chance. The two TV commercials for the social lottery were actually shot with four of the casting attendants afterwards. The film was starting point for an integrated campaign to promote the idea of inclusion and the social lottery of Aktion Mensch.